Easy Striped Knit Patterns to Try Today! If you love simple knitting patterns and love stripes then this is the post for you! Read on down to find the full collection of free knitting patterns! I am mostly a crocheter but I love love knitting and really should do it more! I love free knitting patterns for beginners (because I would consider myself one) so I made sure these were just that! 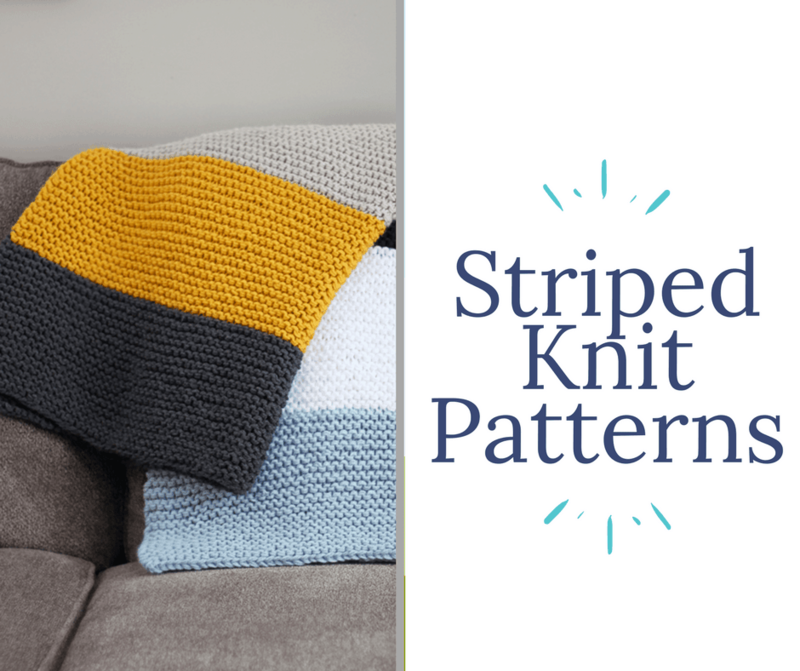 To give myself some motivation I’ve handpicked some of the top simple striped knitting patterns on the internet ranging from scarf knitting patterns, wraps, blankets and much more. All of these knitting patterns for beginners feature Lion Brand Yarns which are my go to yarns when working most any project! With the choices below you will be sure to fine something on this list for everyone! Happy Knitting! 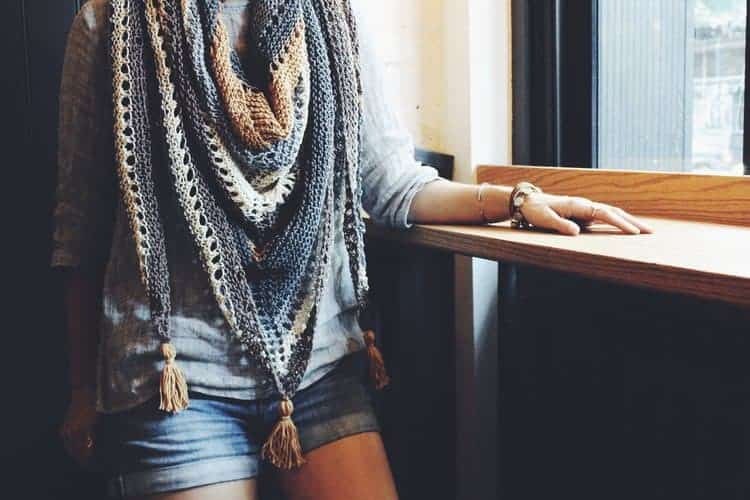 This wrap is beautiful, neutral and just perfect to snuggle up in. This striped knit pattern is definitely a must make! 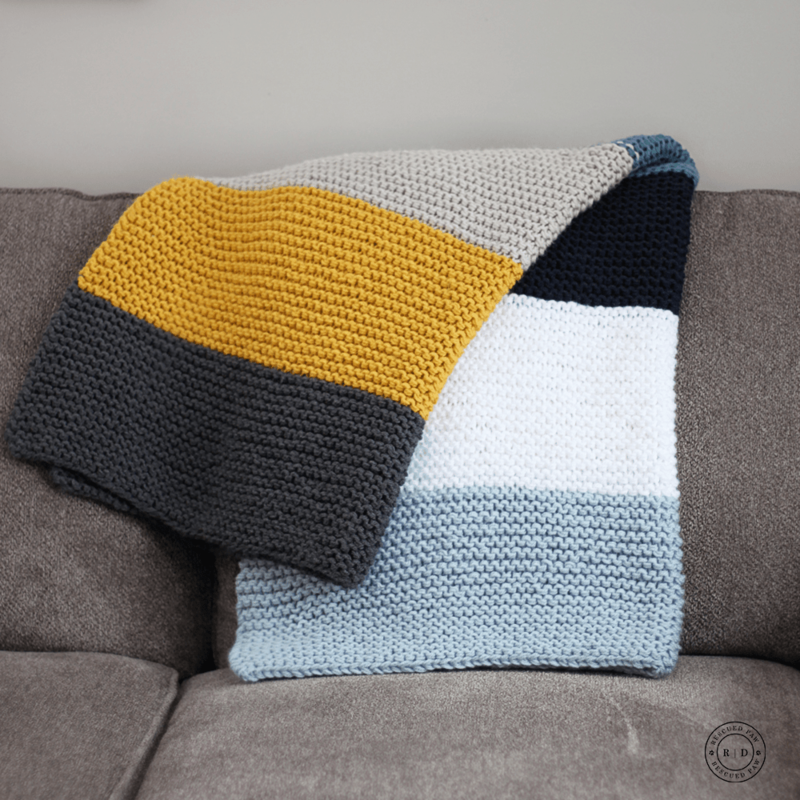 This blanket is great for beginners (Psst… This design would be a great baby knitting pattern in a smaller size) because it use just one stitch! 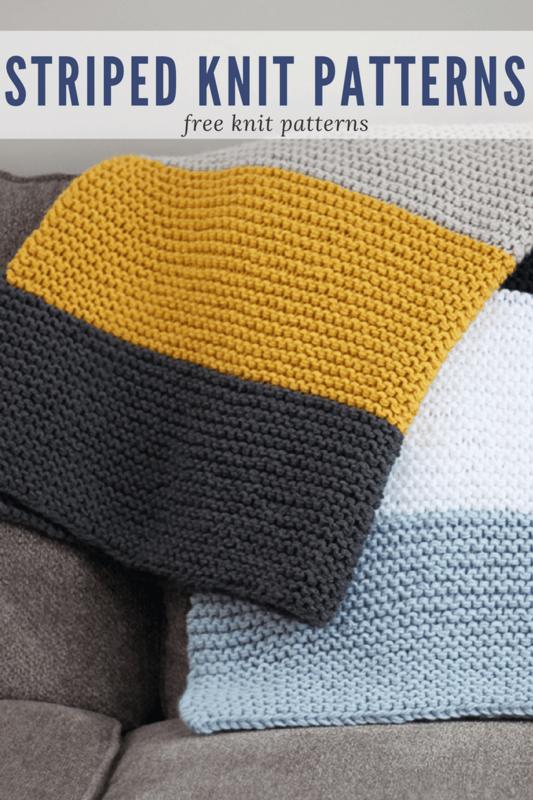 Go Ahead and try this easy knit blanket today! 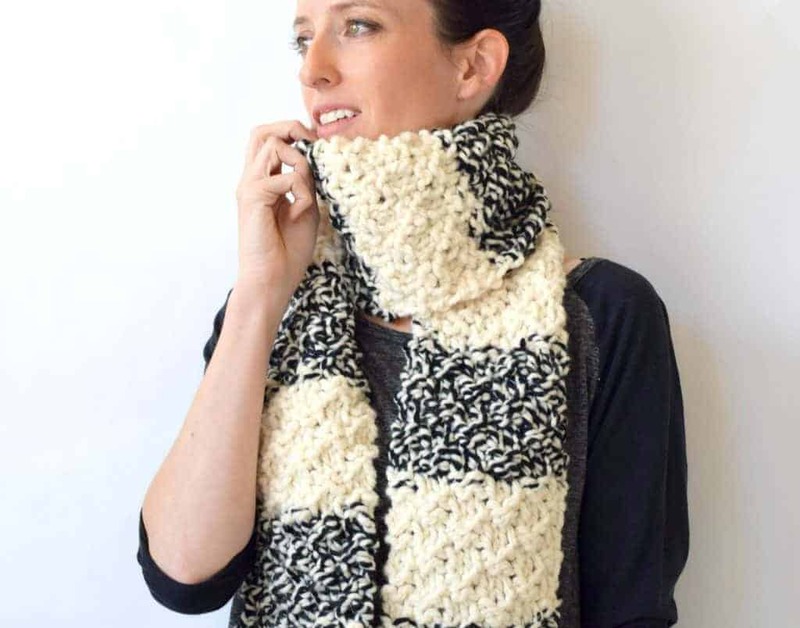 If you’d prefer something a little smaller to tackle then this simple knit scarf is a must try! This simple but beautiful piece is a must knit sweater pattern and is great for all seasons of the year! 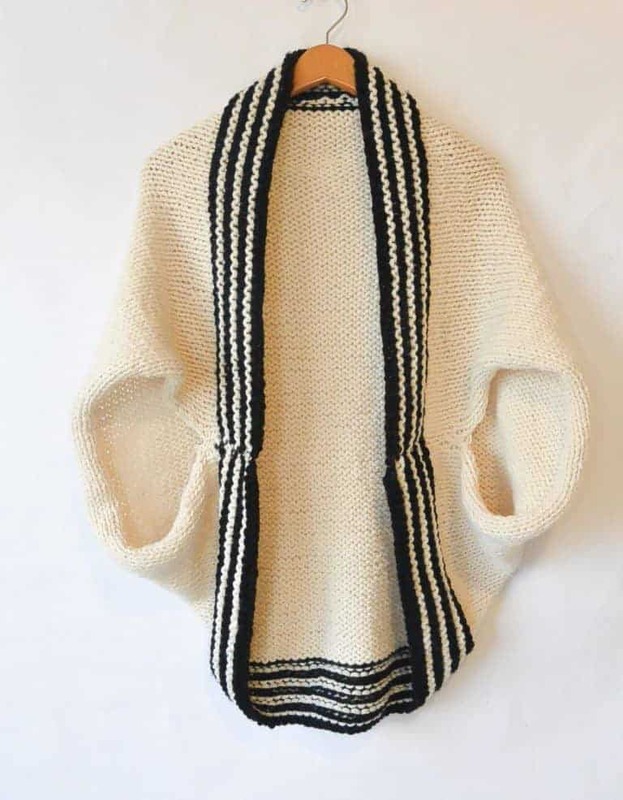 And finally this striped knit sweater wrap looks amazingly cozy and the detail on the inside collar is beautiful! Don’t miss out on making this one! That’s it! I hope you enjoyed all these FREE Striped Knit Patterns! Follow along with me on Facebook, Instagram or Pinterest (where I pin daily!). If you prefer video tutorials you can also find me over on YouTube!